If you think that you would like to live sustainably in an intentional community, then there may be a place for you. A SOMA member will not only be able to live, but they will also be able to develop and grow. 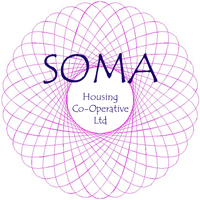 We are currently looking for people who would like to join the SOMA Housing Co-Operative. If you think that joining SOMA might be good for you, then before you apply please absorb the contents of the pages on our web site. We recommend that you also follow the links away from the SOMA web site, to the web sites of other groups referred to. Get to know about the different types of housing co-op that there are and try to get some feel for what it's like being a member of a supportive and sharing community. Essentially, by joining SOMA, you are agreeing to put in a certain amount of effort towards keeping SOMA going. This means doing some of the boring regular everyday tasks that it is necessary to perform. This is stuff like, maintenance of the property and administration being just two of the jobs. It could also be, calling in on a disabled neighbour to see if they need assistance. It is essential that you read our Model Rules. These can be downloaded from the web site. If you are unable to read them, or if you can read them, but you don't understand what you are reading, then please contact the Secretary. The Secretary will find one of our members who can assist you. However, it is always advisable to consult a professional legal practitioner in cases where there are contracts with legal obligations. In the case of SOMA, we are a housing co-operative and a company limited by guarantee. Each member is a share holder whose single share has a nominal value of £1. 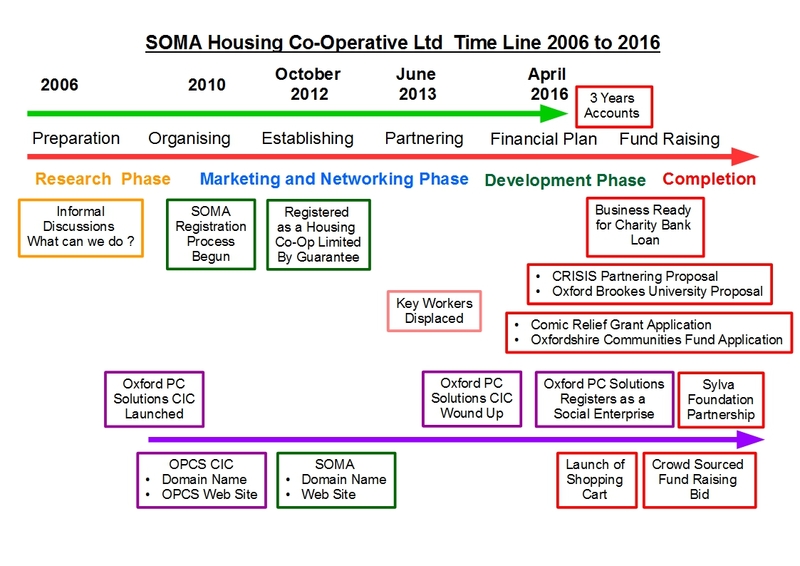 The image below shows the current position of SOMA Housing Co-Operative Ltd and plots the various stages in our development.